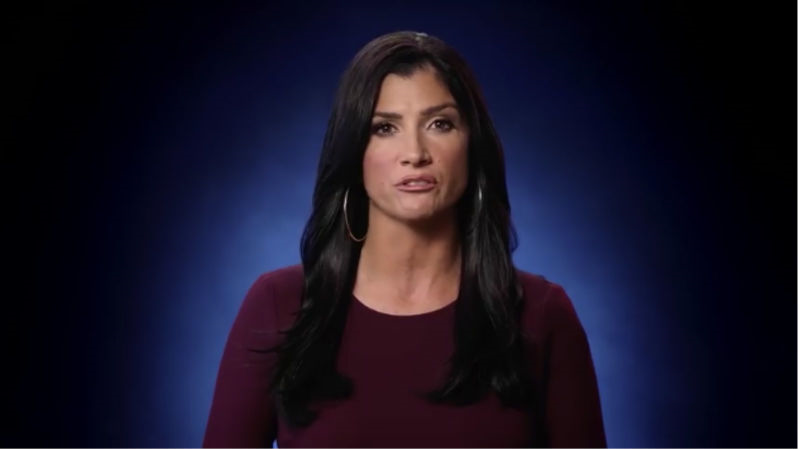 NRA wacko , Dana Loesch. Last October , the NRA released another absurd video attacking liberals who protest Donald Trump , as terrorists. In the video , conservative wacko , Dana Loesch , is upset that Trump is being ruthlessly attacked by liberals and progressives without justification. He’s done nothing to deserve this treatment. He’s a wonderful guy! He loves America! He loves God , guns and the constitution! He’s the greatest president we’ve ever had , as opposed to that Kenyan , Muslim usurper , Barack Hussein Obama , who was the worst president , who hated America , God , guns , and the constitution , who couldn’t wait to destroy America , Christianity , Christmas , and take everyone’s guns away. Except , he failed to do any of those things. The video is hyperbolic and ironic to say the least. Anything conservatives claim liberals are guilty of , they themselves are most certainly guilty of doing. Everything they say about liberals and progressives , is projection. When Obama was in the White House , conservatives like Loesch smeared him as a Marxist , communist , fascist , Kenyan , racist , anti-American Muslim. Does she not realize that some presidents have actually been assassinated? She can’t be this naive. Or maybe she is. When the Tea Party was protesting the first black president with their racist signs , it was just patriotism , but anyone who dares criticize or protests Trump , it’s a ruthless and unwarranted attack on democracy? Conservatives often complain about liberal elitists in the media , and universities. But have no trouble with their own elites. They have nothing to say about the right-wing think tanks , like the Heritage Foundation , and Freedom Works , who give millions each year to Rush Limbaugh , Glenn Beck , and the American Family Association , to spread their propaganda. Only liberal elites are evil because they hate Trump , and control everything? It wasn’t hateful defiance of Obama’s legitimacy as president and the system that elected him , when the Tea Party marched with their hateful signs and conservative media tried to sell every anti-Obama conspiracy as news. But it’s smears and phony accusations when someone calls Trump out on his bigotry. The inability of conservatives like Dana Loesch to see their own hypocrisy , is astounding.